The wives of several Rockstar San Diego employees have banded together to write an open letter decrying what they say are deplorable working conditions at the studio, a move more than a little reminiscent of the famous EA Spouse from a few years ago. Remember EA Spouse? It was a blog (and also the pseudonym of the blogger) that, back in 2004, blew the whistle on the less-than-ideal working conditions at Electronic Arts. A lawsuit against EA was eventually filed and settled, with nearly $15 million paid to programmers at various levels and sweeping changes made to the ways employees were classified and paid overtime. It was big news at the time because it promised to dramatically alter the working conditions for rank-and-file programmers, artists and other employees at major publishers. But it's beginning to look like history could repeat itself, if an open letter written by the "Determined Devoted Wives of Rockstar San Diego Employees" is to be believed. Posted on Gamasutra, the letter accuses the Rockstar San Diego studio of perpetuating a stressful, degrading work environment that's beginning to take a physical toll on employees. The situation apparently began to seriously deteriorate in March 2009 when the studio went into "crunch mode" on Red Dead Redemption, a high-intensity phase of development it's maintained ever since. Employees are now working at least 12 hours per day, six days a week, yet the letter claims they are being increasingly disregarded and dehumanized by management. Benefits have been steadily reduced, salary increases have not even kept up with inflation and bonuses are not guaranteed and could be cut at the discretion of management. Perhaps worst of all is the rumor that because of the dire straits at Take-Two, Rockstar San Diego will be shut down once work on Red Dead Redemption is completed. "Instead of valued employees, a sentiment grows that they have lost not only the sense of being valued but turned into machines as they are slowly robbed of their humanity," the letter says. "The managers at Rockstar San Diego continue in their dishonesty, pushing their employees to the brink promising temporariness fully equipped with the knowledge of another deadline just around the corner." The veracity of the letter is impossible to verify but many of the follow-up comments, including some from current and former Rockstar San Diego employees, seem to verify that the claims being made are entirely true and unexaggerated. At least one commenter, however, added that in spite of the troubles, he remains proud of the work and of the studio itself. "When it's all said and done, I love my studio, I love my game, and I love my team, and I wouldn't give this up for the world," he wrote. "I just would like to see things improve for all of us, including our management." Erin Hoffman, who was eventually revealed to be the aforementioned EA Spouse and now sits on both the International Game Developers Association Board of Directors and its Quality of Life Special Interest Group, said that part of the problem stems from the fact that Rockstar has consciously maintained an "internal culture" that's separate and distinct from the rest of the game industry. "As is pointed out in the comments of the Rockstar Wives post, Rockstar itself worked to stay separate from the game industry," she wrote in an email to The Escapist. 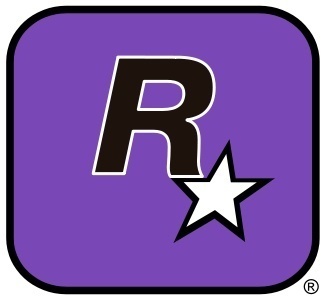 "Their internal culture was intense, for good and ill, and so when the rest of the industry stepped up and addressed a lot of these issues post-2005, Rockstar lagged behind. The Wives post is therefore a reckoning that's been a long time coming." "Speaking as an individual (not for the IGDA! ), I do not think that anything short of a lawsuit can fix these companies," she continued. "The fundamental problem with large companies is that there are too many jumps from the guys calling the shots to the men and women actually engaged in development. The only thing that gets their attention is a multimillion dollar lawsuit. They simply have no other incentive to change. Some Rockstar employees have said that they received threatening letters from Rockstar's lawyers when they complained about working conditions internally, and if that's the case, it's even more important for them to know their legal rights." One of the difficulties in challenging the entrenched Rockstar culture will no doubt be the fact that despite the pressure and demands, many of the employees at the studio love what they do and are thus more prone to put up with unfair working conditions without complaint. Still, Hoffman said the industry has changed considerably over the past half-decade and noted that there is far less tolerance for overworked and underpaid conditions now than there was in 2004. "In 2004 there was a large sentiment from within the industry that there is no problem and developers should sit down and shut up - we're seeing almost none of that now, and that's a major educational and ideological victory," she said. "Most developers now understand what the broader software industry learned a long time ago: That these kinds of deathmarch hours are just plain stupid for everyone involved." The Rockstar Wives made no specific demands in their letter but promised that legal action will be taken against the studio if the situation remains unchanged "in the upcoming weeks." With Red Dead Redemption scheduled to ship at the end of April, however, Rockstar may not be inclined to take its foot off the gas just yet.